August 28, 2009 - The Japanese manga and animation powerhouses Shogakukan Inc., Shueisha Inc. and Shogakukan-Shueisha Productions Co., Ltd. (Shogakukan & Shueisha Group) announced today their joint acquisition of Kaze S.A.S. (Kaze) and Anime Virtual S.A. (Anime Virtual), two of Europe’s leading distributors and licensees of Japanese animation. With this acquisition, the group positions itself as a major multi-media force throughout Europe for manga-based Japanese animation and entertainment. Paris-based subsidiary VIZ Media Europe (VME, President, John P. Easum) will helm the group’s Europe activities, with Kaze and Anime Virtual now part of its stable. Prior to acquiring Kaze and Anime Virtual, Shogakukan & Shueisha Group managed VME’s European operations through its U.S. based subsidiary VIZ Media, LLC (VMC, President, Hidemi Fukuhara). Since the launch of VIZ Media Europe in 2007, Shogakukan & Shueisha Group, in cooperation with VMC and VME has continued to study the European market for opportunities to grow the fan base and to offer a greater range of Japan’s highest quality manga and anime content. Kaze and Anime Virtual were chosen to be the key drivers of this pan-European strategy and the timing is perfect as a rising demand for manga-based animation meets the growth of multi-platform distribution channels. Kaze (President, Cedric Littardi) mainly operates in French speaking territories and Anime Virtual (President, Nicolas Weber-Krebs) operates primarily in German speaking territories. Their combined core businesses include TV sales, DVD and music distribution, film distribution, consumer products, and new digital distribution and broadcast platforms, as well as manga publishing in French speaking territories. • Direct DVD publishing and distribution in France and Germany. • TV broadcast and distribution through various new platforms and technologies. • Development and licensing of consumer products. • Direct manga publishing and distribution ability throughout French speaking Europe. • Innovative brand building across a full spectrum of media, including manga publishing, animation licensing, animation broadcasting, consumer product licensing and new digital platforms. The new company, which will be wholly owned by Shogakukan & Shueisha Group, will integrate VME, Kaze, Anime Virtual and their subsidiary companies under a unified infrastructure and administration. John P. Easum, has been named President/Gérant of the new company and will head up the group’s European operations. The head office will remain in Paris. Cedric Littardi and Nicolas Weber-Krebs have been appointed managing directors. Shogakukan Inc., founded in 1922, began by launching learning magazines targeting elementary school children. Currently, while expanding from children's magazines to the general magazine field, Shogakukan has also become a general publishing company with a book division that releases picture books, pictorial guides, dictionaries, encyclopedias and literary works, etc. The business operations of the company consist of magazine and book publication. To learn more, please visit http://www.shogakukan.co.jp. Shueisha Inc., founded in 1926, is the Japan's top sales publisher and publishes 40 magazines including comic magazine, women's, men's, sports, literary, etc. as well as trade books. 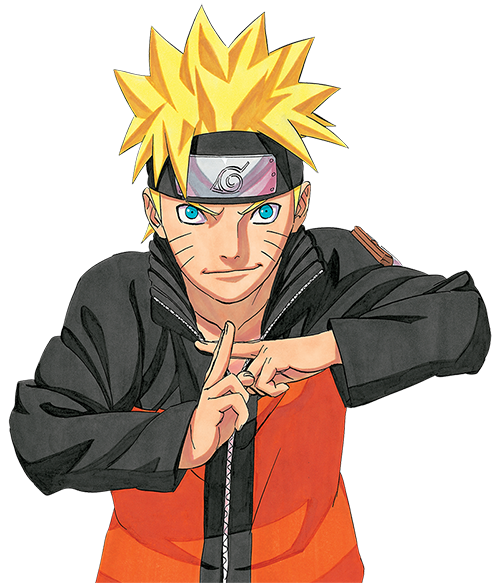 Its most successful comic magazine, Shonen Jump, prints 3 million copies weekly in Japan alone and many animations such as ONE PIECE, NARUTO, YU-Gi-OH! and DRAGON BALL are based on Shonen Jump. Beyond publishing, Shueisha strategically works with other media and carries out many activities such as producing animation and merchandising for its strong properties. To learn more, please visit http://www.Shueisha.co.jp. Shogakukan-Shueisha Productions Co., Ltd (ShoPro), is one of the largest companies in Japan licensing and merchandising animated properties. Co-owned by Shogakukan Inc and Shueisha, Inc, two of the largest creators and licensors of manga and animation, ShoPro handles a variety of popular properties, including POKéMON, DORAEMON, INUYASHA, HAMTARO, DETECTIVE CONAN, and MEGAMAN, as well as other third-party licenses for the Japanese market. ShoPro also develops titles for the overseas marketplace, including the manga market in North America, Europe and Oceania. For more information please visit www.shopro.co.jp. Headquartered in Paris, France, VIZ Media Europe (VME) is a subsidiary of San Francisco-based VIZ Media, LLC. VME specializes in managing the development, marketing and distribution throughout Europe of Japanese animated entertainment and graphic novels (manga). VME handles some of the most popular Japanese manga and animation properties from initial production, through television placement and distribution to merchandise licensing and promotions for consumers of all ages. Current VME animated properties include BLEACH, BLUE DRAGON, DEATH NOTE, HAMTARO, HONEY & CLOVER, KEKKAISHI, KILARI, M.A.R NEURO, A PENGUIN’S TROUBLES and ZOIDS GENESIS. Contact VIZ Media Europe at 9, avenue de l'Opéra, 75001 Paris, France Phone +33 1 72 71 53 53; Fax: +33 1 42 96 97 36; and web site at www.vizeurope.com. KAZE is the leading French company in the ever-growing segment of Japanese animation. Founded in 1994 by M. Cedric Littardi, its strong brand is associated with theatrical and DVD releases, Music production (Wasabi Records), new media, TV, comic book publishing (Asuka). Active mostly in France, Belgium, Switzerland, Poland, The Netherlands and Italy, Kaze has bean controling all of its means of operation: publishing, marketing, communication, event management, distribution, graphic design and manufacturing. Thanks to an excellency-oriented editorial policy, eclectic acquisitions as well as a presence in every business line, Kaze is one of the greatest actors in the promotion of Japanese culture in Europe. Anime Virtual is the largest publisher of anime in the German speaking countries. Founded 1995 in Switzerland, the company is a pacesetter in production and distribution of Japanese animation in Germany. In 2006 and 2008 Anime Virtual widened its portfolio to include music production and live action movies. All stages of the production, from translation to authoring, graphic design, and editing are done in-house. The strong distribution network includes both traditional and digital venues, from bookstores to entertainment chain stores to video on demand. Anime Virtual is active in all German-speaking territories as well as Northern and Eastern Europe.